Blaine Office - Rum River Counseling Inc.
Jessica holds a master’s degree in counseling and psychological services from Saint Mary’s University and a bachelor’s degree in psychology from the University of Minnesota-Twin Cities. For the past nine years, she has been a passionate scholar and practitioner in the field of clinical psychology. Jessica began her practice as a certified sexual trauma therapist, focusing on healing and recovery of survivors of sexual trauma. Along the way she has integrated her work in multiple clinical settings including inpatient psychiatry, non-profit outpatient clinics, as well as middle and high schools utilizing specialized training in the special education system for children and adolescents. In her current clinical practice, she enjoys working with adults, adolescents, couples, and families with a wide range of emotional, behavioral, overall adjustment concerns. Jessica employs theory from Cognitive Behavioral Therapy, Psychodynamic Therapy, Existential Therapy, among other evidence-based treatments. She maintains a balance of utilizing both traditional and non-traditional perspectives to offer support and guidance for many of the issues that complicate our personal and professional lives. Her specialties include working with those struggling with sexuality concerns, LGBT, life stressors, depleted self-worth, relational concerns, as well as trauma manifesting itself within the symptomology of anxiety and depression. She believes in empowering her clients to begin to consider healthy and constructive alternatives to their lives. She assists people to find courage to face their fears, discover the strength to heal, and construct changes to create balance in their lives. Brooke holds a master’s degree in marriage and family therapy from Whitworth University in Spokane, Washington and a bachelor’s degree in psychology with a minor in sociology from Concordia College in Moorhead, Minnesota. Brooke enjoys working with individuals, couples, and families. She has a particular interest in working with couples and is LGBTQ and Kink friendly. She has experience working with college students and recent graduates dealing with anxiety, depression, PTSD, relationship issues, sexuality, life transitions, blended families and family conflict. Brooke strives to help her clients find more effective ways to live and new ways to handle emotions. Brooke is passionate about helping couples, individuals, and families gain insight in therapy to help them make lasting changes in their life. She uses an integrated approach in providing therapy services, meaning she relies on a variety of theoretical perspectives and techniques based on each client. when working with couples to improve communication and connection, she uses evidenced based theories such as the Gottman approach and Emotionally Focused Therapy. She aims to provide genuine and effective services that supports hope, healing reflections about you and your life, genuine growth, and a gradual restoration of what you desire and value. Brooke provides honest feedback and guidance using humor and compassion while supporting her clients through therapy. 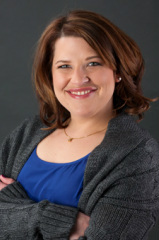 Lilia holds a master's degree in marriage and family therapy from Saint Mary's University. She holds a bachelor's degree in psychology with an emphasis on family studies from the University of Saint Thomas. Lilia has worked in the metal health field since 2011. She enjoys working with individuals, couples and families on a variety of issues including: anxiety, mood disorders, trauma, attachment/relational concerns, parenting skills, relationship issues, divorce, life transitions, and work stress. Lilia believes in an eclectic approach to therapy, drawing from several approaches including: emotionally focused therapy, attachment theory, family systems theory, & cognitive behavioral therapy. 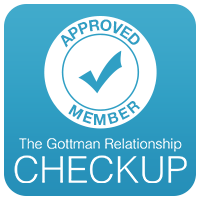 She has also completed Level 2 Training in Gottman method couples therapy to help client’s work through a variety of relationship stressors. For her work with parenting concerns, she has been trained in Circle of Security-Parenting, an evidence based intervention program for parents and children that focuses on relationships from an attachment-based perspective. Lilia has a client-centered, supportive, and empathetic approach to therapy that supports clients in fulfilling their goals. She believes in challenging and encouraging clients to be their best selves so they can reach their full potential. She has a straight-forward, yet kind approach that she uses to walk alongside clients in their journey of self-discovery. Tiphany holds a master's degree in counseling and psychological services from Saint Mary's University and a bachelor's degree in psychology from Hamline University. Tiphany is passionate about helping adolescents and adults who are struggling with issues including depression, anxiety, trauma, abuse, life adjustments, and self-esteem, and spirituality concerns. Tiphany's approach to therapy is person-centered and systemic, looking at the client as a whole, and bringing warmth, empathy, and her sense of humor into the process. She uses a trauma-focused cognitive behavior therapy model with mindfulness and self-compassion to help clients manage their emotions, thoughts, and behaviors non-judgmentally and effectively. 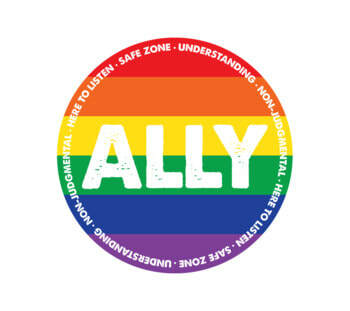 Holly holds a master’s degree from the Minnesota School of Professional Psychology at Argosy University. She welcomes working with adults, teens, couples, and families regarding relationship conflicts, anxiety, depression, grief and loss, substance abuse, communication, addictive behaviors, aggression, GLBT issues, parenting and emotional dysregulation. As a group facilitator, Holly is both dynamic and engaging. She is certified in Prepare/Enrich assessments as well as Aggression Replacement Training. Holly is trained in Brainspotting and EMDR and utilizes these two mindfulness based approaches to help clients reprocess past traumatic experiences. Holly has also worked with Alzheimer’s/Dementia, and family caregivers at the University of Minnesota and Fairview Hospital. Holly believes therapy is a collaborative partnership between therapist and client and provides a safe, judgment-free environment where she can offer hope, acceptance, connection and empowerment. She helps her clients find successful ways to navigate problems by listening to their stories and helping them to feel connected with themselves and others. Holly believes that her role as a therapist is to assist her clients to become masters of their own change and growth, and tailors her therapy based on client need. Amber holds a master's degree in counseling and psychological services and a certificate in marriage and family therapy from Saint Mary’s University of Minnesota as well a bachelor's degree in psychology from the University of Minnesota-Duluth. Amber has over 14 years of mental health experience working with children, adolescents, adults, couples, and families. Her areas of interest include grief/loss, relationships, parenting, self-esteem, trauma, anxiety, mood disorders, and health/wellness. 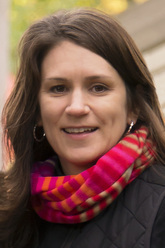 Her theoretical approach includes a family systems background infused with techniques and interventions from dialectical behavioral therapy, cognitive behavioral therapy, attachment theory, and narrative therapy. Amber strives to create a safe and warm therapeutic relationship working collaboratively with clients on their path of healing and growth both within themselves and their relationships. Nikki holds a master’s degree in clinical social work from the College of St. Catherine/University of St. Thomas and a bachelor’s degree in psychology and communication from the University of Minnesota-Duluth. She has been working in the field for over 18 years. The individuals she currently sees range in age from 18 to seniors. Her areas of interest include trauma and abuse, post-traumatic stress, chronic pain, depression, anxiety, grief and loss, and self-esteem issues. Her approach is influenced by attachment theory, neuroscience research and mindfulness. She incorporates evidence based therapies such as cognitive behavioral techniques, humanistic theory and psychodynamic philosophies and is trained in the technique of Brainspotting. She works collaboratively with the client and implements therapy techniques that will match the client’s needs. Nikki provides a non-judgmental and compassionate environment for clients to explore their challenges and assist them in developing their desired goals. Pat holds a master's degree in marriage and family therapy from Bethel Seminary in Minnesota. Additionally, she holds a bachelor's degree in Occupational Therapy from the College of St. Catherine and is licensed as an occupational therapist (OTRL). Pat is trained in EMDR and is also certified in the technique of Brainspotting, a modified form of EMDR. She currently provides therapy to individuals, couples, and families. The individuals she sees range in age from 18 to seniors. Special interests include conflict resolution, trauma, effective communications training, self-esteem, physical/emotional/verbal abuse, domestic violence, boundary setting, anger management, women's issues, parenting and child development, depression, anxiety, Christian counseling and spirituality, mind/body work, bereavement/loss of a loved one, prolonged grief (beyond 1 year), managing the emotional impact of medical conditions & chronic pain, and sensory integration issues related to daily functioning/social interactions. Pat's desire in the therapeutic relationship is to provide a place for individuals to feel 'heard', encouraged, and to instill a sense of hope and self-esteem for accomplishing his/her goals and dreams. Luke holds a master's degree in counseling psychology from St. Cloud State University and a graduate certificate in marriage & family therapy from Saint Mary's University of Minnesota. He holds a bachelor's degree in psychology from the University of Minnesota - Morris. Luke has worked in mental health since 1999. He enjoys working with individuals, couples, and families on a variety of issues including: relationship issues, divorce, kids and adolescents, single parenting, stress management, personality issues, anxiety, mood disorders, self-esteem, trauma, grief/loss, chemical health, and parenting skills. He is skilled at connecting and working with children and adolescents. Luke interacts with clients from a client-centered and collaborative perspective, and works to assist the client(s) to clarify and drive the direction of their goals and therapy. He strives to provide a secure working relationship (which includes the occasional use of humor) in which to explore the presenting issues and has a calm comforting demeanor. He draws from a variety of theoretical approaches and interventions including, but not limited to, family systems theory, attachment theory, play therapy, mindfulness, cognitive-behavioral theory, and emotionally-focused therapy. Luke believes that being flexible and having variety in life, is often beneficial to people and improves the life they are living. Amanda is also a Mediator and specializes in family law. Amanda completed "Certified Divorce and Family Mediation Training" in 2017. She enjoys helping those who are uncoupling as well as post-divorce issues that may arise. Amanda's goal is to support the conversation between people who are in conflict.